ACSM files (files that end with .acsm) often cause confusion for those who are unfamiliar with them. This post will tell you what you need to do to open them. ASCM files are part of Adobe’s eBook DRM. ACSM files are not supposed to be the full eBook. They are small files that manage the download of the eBook. ACSM files are made to be opened with Adobe Digital Editions. This is a free program from Adobe that was created for their eBook DRM. Get it here. To open an ACSM file, simply double-click it, and it should open in Adobe Digital Editions if you have that program installed. Opening the ACSM file in Adobe Digital Editions will allow it to continue your eBook download. When it’s finished you’ll have a PDF or ePub file. If you’re downloading an .acsm file, it’s probably an eBook with DRM, so you should also make sure that Adobe Digital Editions is properly authorized. I have a post that explains this process for you. 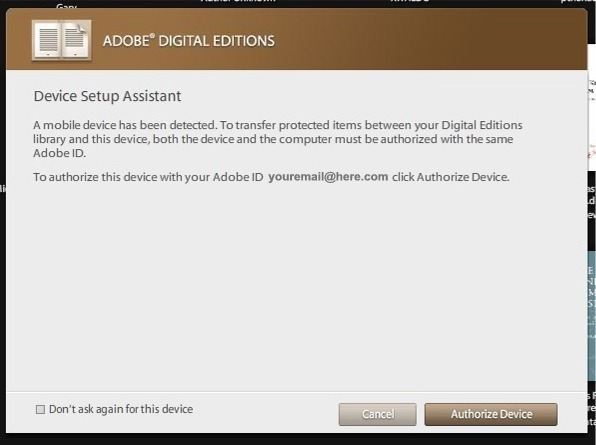 Authorizing your copy of Adobe Digital Editions with an Adobe ID will allow you to use your eBook on more than one computer as well as your mobile devices that support Adobe’s DRM. Sometimes people will try to download a DRM-protected PDF or ePub directly to their iPhone/iPad/eReader/Android device. That won’t work because the .acsm file can’t be opened in any apps on those devices. The eBook must be downloaded to your computer first, through Adobe Digital Editions. There is no version of Adobe Digital Editions for iOS, Android, or eReaders. After you’ve downloaded the ebook to your computer, you can then transfer it to your device. Often when people are unfamiliar with .acsm files they think they should convert the file to a PDF. This is not possible, and it arises from the mistaken assumption that the .acsm file is the eBook and they’ve somehow downloaded a weird file type. If you have an .acsm file, the only thing you can do is open it with Adobe Digital Editions. That will continue the eBook download process, and once that’s finished, you’ll have your PDF/ePub file. It’s easy for your computer’s file associations to get messed up when you try to open a file in the wrong program. If you’ve downloaded an .acsm file and you tried to open it in, for example, Adobe Reader or Adobe Acrobat, you might have checked the little box that says “Always open files of this type in this program”. If you did that, you’ve screwed up your file associations and .acsm files will always try to open themselves in the wrong program. 1. Double-click it. It will open in the program that your computer has associated with that file type. See above if you’ve associated .acsm files with the wrong program. 2. Right-click it. Right-click the file, go to “Open With”, and choose Adobe Digital Editions. 3. Open manually from inside the program. Open Adobe Digital Editions. In the upper left area, find LIBRARY. Click the downward arrow next to Library, and click on “Open”. Find the file on your computer. It should be in a folder called My Digital Editions, which is in the main Documents folder. I have recently noticed a new frequently asked question. This is something that’s been asked on this blog and I’ve also gotten this question from people who buy ebooks. Like the title of this post, the question goes something like: “I can’t install Adobe Digital Editions on my device!” You can replace “device” for whatever device the particular person is using, such as their iPad / iPhone / Android phone / Android tablet / eReader / Nook / Sony Reader / Kobo etc. The saddest thing about this is that these people tend to throw up their hands and give up once they discover this seemingly insurmountable problem. So here’s the good news: You do not have to install Adobe Digital Editions on your device. It’s not made for that. You’re only supposed to use Adobe Digital Editions to download your ebooks to your computer. 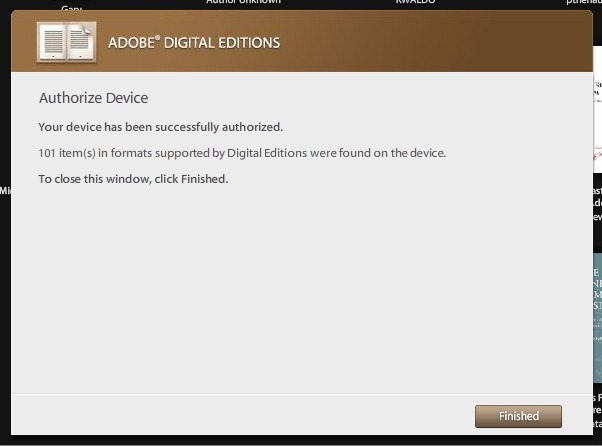 There is no version of Adobe Digital Editions that is intended to be installed on a device. After you download the ebook, you can transfer it to your device. 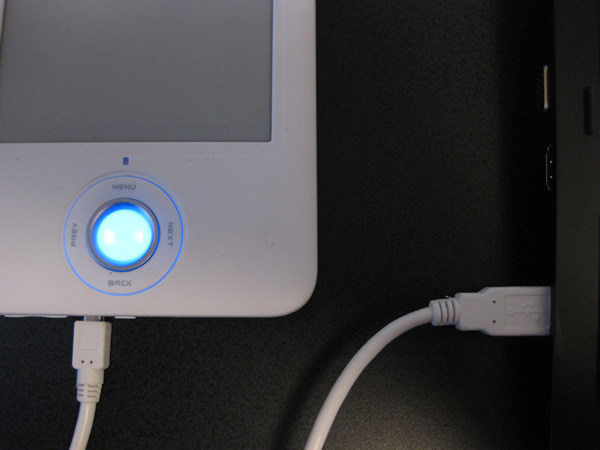 For some devices, like e-Ink eReaders, you can use Adobe Digital Editions for the transfer. When you plug the device into your computer, ADE will recognize it and you’ll get an icon in the lower-left area of the screen. Then you can drag an eBook from the ADE library to that device icon. For other devices, you don’t even need to use ADE for the transfer. For example, if you want to use the ebook on your iOS device, you should follow my Bluefire Reader instructions. And if you want to use the ebook on an Android device, you should follow my Aldiko instructions. 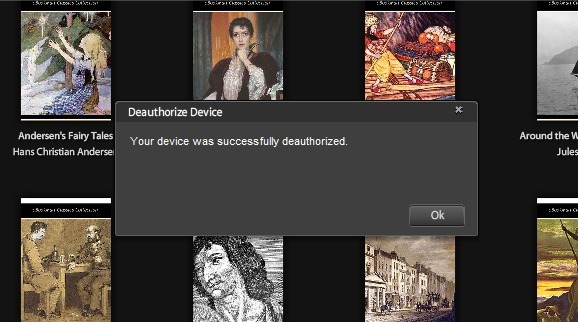 In this post I’ll show you step-by-step instructions for how to authorize (or re-authorize, if you’ve previously de-authorized) your eReader for Adobe Digital Editions. This is something that is necessary to do if you’re going to be buying and reading PDF or ePub ebooks that are protected by Adobe’s DRM. Before starting this process, you’ll need an Adobe ID. If you don’t already have one, get one here. You should also authorize your computer before you start authorizing other devices. The device I’m using in these instructions is a BeBook Neo. These instructions should work for any similar device like a Sony Reader, Nook, Kobo, Cybook, etc. You can see a list of the devices that Adobe supports on their website here. (Update for clarification: The instructions in this post only apply to E-Ink screen style eReader devices, not Android tablets, iOS devices, or other smartphones). 4. When my BeBook Neo detects that it is plugged into the computer, it asks me if I want to connect to the computer. Tapping ‘NO’ would just allow it to charge. Tapping ‘YES’ lets you transfer files to its memory and perform other functions related to the computer, so tap YES. 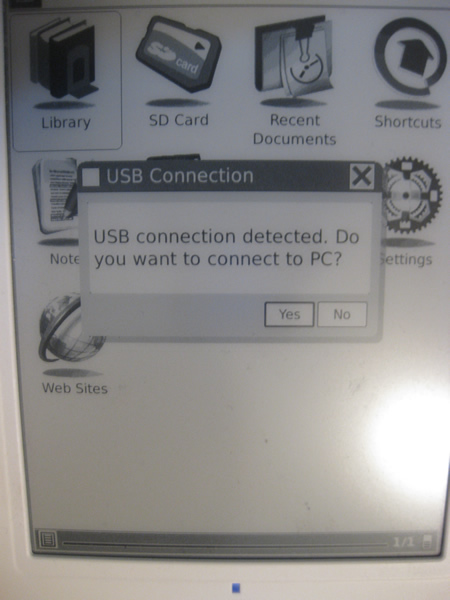 Your eReader might have a similar prompt. Adobe Digital Editions already knew my Adobe ID from when I authorized my computer, so it just tells me to authorize with the same ID (which is usually the smartest thing to do). If your computer and device had never been authorized, then it should give you a login screen where you enter the email address that you used to create your Adobe ID and your password. Note: See the “Don’t ask again for this device” in the bottom-left? DON’T CLICK THAT. If you do it’ll be a pain to re-authorize the device in the future if you need to. That’s it! Now you can transfer purchased content from your computer to your device.